1. Where can I buy tickets for the open-top buses? 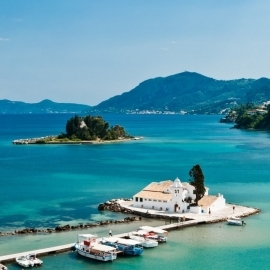 Tickets are sold at the departure point of buses in the port of Corfu and at the bus stops at Spilia and at 34 Eleftheriou Venizelou Street, inside the bus. 2. Where are the stops in order to get on the bus? One of them is at Spilia and the other one is at 34 Eleftheriou Venizelou Street. 3. Can I get on and get off the bus at any stop? The ticket is valid for one day allowing the passenger to travel limitlessly (hop on-hop off). 4. What is the temporal validity of my ticket? 5. Does the ticket price include the entrance to museums and archaeological sites? 6. What is the frequency of bus routes? 7. Is my ticket valid for other bus lines? 8. Where can I find the timetable for the open-top buses? 9. Are the open-top buses accessible to people with disabilities?